With January drawing to a close, our minds start to pine for summer sunshine and faraway lands, so with the release of Sara Banerji’s new novel, Tikkipala, on January 27, we pay homage to a remarkable and talented woman whose life and work will inspire your inner adventurer. After WWII, Banerji emigrated with her family to Southern Rhodesia, living in a single mud rondavel with no electricity or running water. She later travelled all around Europe. She worked as an au pair and also attended art school in Austria. She has also worked as an artist, and has held exhibitions of her oil paintings in India. She taught riding whilst in India, and has been a jockey. She is a sculptress, and, previously, a waitress at a coffee bar in Oxford, where she met her now husband, Ranjit Banerji, an undergraduate from India. They married and moved to India, where they lived for seventeen years. We caught up with Sara to find out her inspirations for her latest novel, Tikkipala, a hypnotic tale of love and preservation at a time of fading empires. Wild throbbing cries come from the forest that looms above our bungalow. Booming shrieks come echoing from the jungle and remind me of my teenage years in Africa. I am in India now, twenty three, just married, and starting my new life with my Indian husband, Ranjit, in the High Range hills of Kerala. At night we hear a sound like snoring outside the window. A panther, the servants tell me. A wild tiger kills our butler’s tethered cow. We hear it munching all night long at the bottom of the garden. A man is sent to bring me a bee swarm. His people live in swinging tree houses up in that high mysterious jungle. The tribal man, without smoker or bee suit, and wearing only a cotton shirt and a loin cloth, returns from the jungle after three days, the front of his loin cloth bulging with bees. He shows me how to use a feather to gently direct them into my hive. It has taken me all these years, and nine novels about other things, to write Tikkipala, my novel inspired by Africa and India. These days, tribal people everywhere are being taught how to become part of modern civilisation. It must be done, I know. Everyone is entitled to education, medicine, safe roads and the Internet! But something precious is being lost, and led me to thinking that perhaps scientific discovery could come about in other ways. In Tikkipala the tribal people, whose treetop walkways are made from their own long hair, are scientists without a microscope. They genetically engineer their hunting animals and their god. They are as good and cruel as the rest of the human race. And as clever though in different ways. A similar story I read in the local paper inspired me to create Sangita, the ranee who is banished by her raja husband. And whose child is kidnapped by the secret people of the high jungles to use as a sacrifice for their god, the Tikki. My mother’s novels were best sellers in the forties and from our earliest years she encouraged my writing. Chance, luck and my mother got my first book published. She went to a party where she met literary agent, Gina Pollinger. She told Gina about the novel I had just written. The Wedding of Jayanthi Mandel is based on my experience of dairy farming in a Bengal village during the Naxalite revolution, a violent time of murder, beheadings and kidnappings. Gina took me on, Victor Gollancz duly published it and Bloomsbury recently reissued it as an e-book. I have always searched for magic and mystery. I found it when I was thirteen and we immigrated to Southern Rhodesia. Africa throbs with magic – witch doctors who heal with smoke, chanting magicians who float through fire, evil spells that kill, caterpillars that render women infertile. You can hear magic in the roar of lions, the screams of hyenas, the grunting of baboons, the heartbroken cries of birds. My sister and I would ride over the vleis all day. There were crocodiles in the river and my brother and I encountered a ten foot long alligator on the narrow ledge of the dam. Much of the magic in Tikkipala is inspired by my African experience. Two of my mother’s novels were set in Africa, one happy book set in the Gold Coast and a very unhappy Rhodesian one. The baby was ten months old, we lived in a tiny mud rondavel without running water or electricity. The loo was a hole in a straw hut. When it was full you planted a grape vine and dug another hole. ‘I’ll never eat grape after hearing that!’ my mother said. We were four hours from the nearest town or shop. But on that journey you would see giraffes, baboons, kudu deer, porcupines! The talking drums put an end to my parent’s marriage. The drums sent a message from Rhodesia to Kenya, saying ‘Bwana Blinker has come back to Africa.’ My father’s wartime Kenyan batman heard, and arrived to cook for us. His food was awful and he would not let my mother into the kitchen, saying that according to his Muslim faith, woman was lower than the lowest beast. Our parents divorced. I was supposed to return to mundane England with my mother and siblings. Not wanting to lose my father, my horse, my dog and magic Africa I went on the run but after three days I was picked up by the police and forced to go to England. I spent several years hitchhiking round Europe, picking up humble jobs for survival, then, in Oxford, I became a waitress in a coffee bar, fell in love with an Indian customer called Ranjit and we went to live in India. My life has, really, been a bit magic ever since. Now, forty years later, Ranjit and I are living in Oxford again. I write books, teach writing, organise literary shows, create sculpture, keep hens and bees, grow most of our fruit and vegetables on my huge allotment and enjoy my three daughters and five grandchildren. To see the full range of Bloomsbury Reader titles click here. 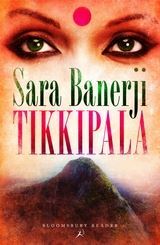 Tags: adventure, Africa, ebook, India, Sara Banerji, Tikkipala. Bookmark the permalink.